Coimbatore is a very famous south Indian city in Tamilnadu. The city is well known for cotton and textile business. The total population is above 16 Lakhs. There are lot of IT companies in Coimbatore and it also known as the Manchester of south India. The people of Coimbatore love fun and entertainment. Most of the people in Coimbatore are employed. So, they want some entertainment for their family and children in the week ends. The Kovai Kondattam was implemented in Coimbatore to fulfill the needs of the people. The Kovai kondattam is a very famous theme park in Coimbatore is located in Perur on the way to Siruvani main road. 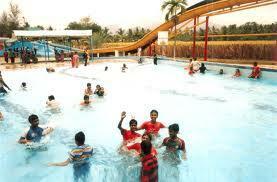 It is one of the best family entertainment theme parks in Coimbatore. 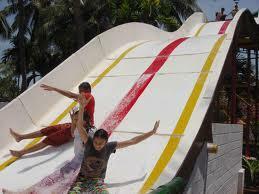 The park offers many attractions for the children, like dashing cars, wave pools, artificial water falls etc. The theme park also provides many things to the children and family members to spend their time. There are many activities are available to the various age groups of people. The water in the pools are frequently changed with good water resource available from Siruvani Dam. The climate of the theme park is very cool in summer and the peoples can get good air inside the theme park. Kovai Kondattam theme park is easily accessible by road, rail and air. By Road: We can reach the Kovai Kondattam theme park by road traveling from the city of Coimbatore towards the Siruvani. The theme park is located in the main road of Siruvani at Perur. The theme park is located about 20 KMS from the Bus stand of Coimbatore. Entry Rates Revised from 14th April 2014.